The Tea Hut offers a warm welcome to all. 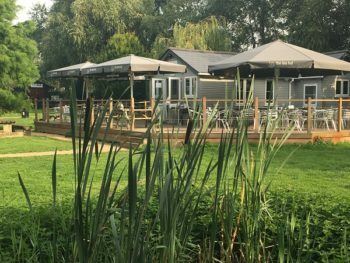 Set in the beautiful gardens by the River Deben, seating 25 inside and many more on the extensive decking overlooking the Model Boat pond. Serving Breakfast, Lunch, hot and cold drinks, snacks, ice creams and cakes. Even a glass of wine or beer. So if you are walking down by the river please pop in to see us. We are child and dog friendly with wheelchair and pushchair access. For groups of four or more it is advisable to call for a reservation especially on weekends.